The Royal Portuguese Cabinet of Reading opened its doors in 1887. The building in Neo-Manueline style is a combination of Gothic-Renaissance style. 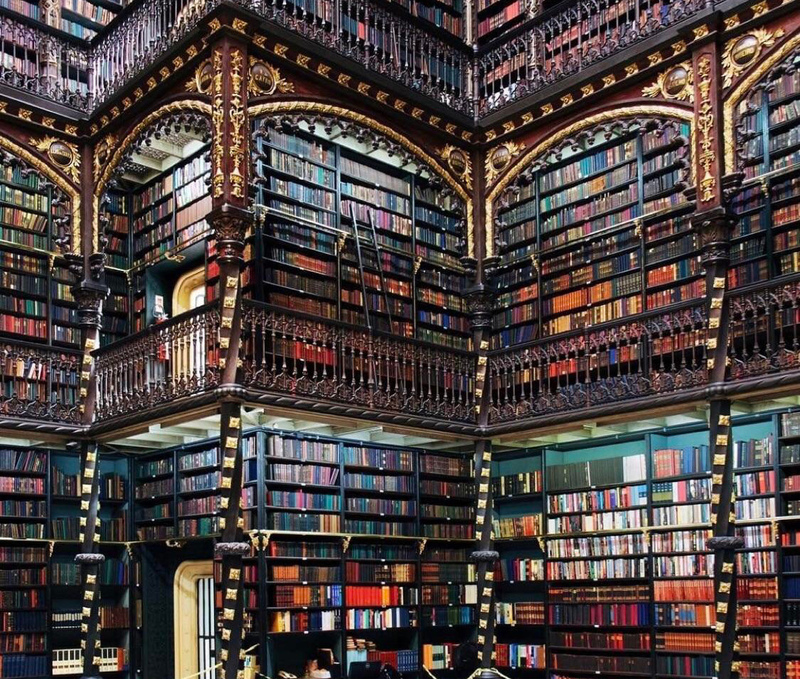 The famed Reading Room extends across three stories with black and white marble floor, rows and rows of bookcases, lavish arches and an iron skylight. When it opened, this gorgeously ornate room housed 350,000 volumes becoming the largest collection of Portuguese works outside of Portugal. The collection included rare manuscripts, unique works of literature as well as painting and other cultural pieces. Over the years the collection has increased with more books lining the library’s bookshelves. According to Time magazine, this is the fourth most beautiful library in the world and a mandatory visit for booklovers in the area.